THE CHILDREN’S MINISTER has told the Fine Gael Ard Fhéis that the government had to build a children’s policy from scratch. 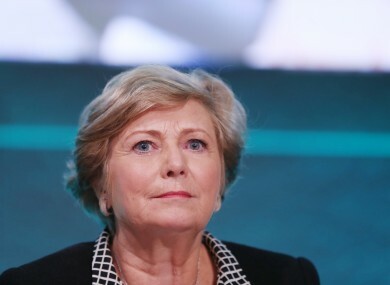 Speaking at the RDS today, Frances Fitzgerald said that the government is “putting children first”, announcing that the Children First Bill will be published in the coming weeks. “This bill has been talked about by Fianna Fail since 1999,” said Fitzgerald. Fitzgerald told delegates that “on coming to office as Minister for Children & Youth Affairs, I was faced with a legacy of failure and inaction by Fianna Fail; as children suffered and families fell apart. Fitzgerald spoke of the recent launch of Tusla, Ireland’s first-ever child and family agency, of the new detention centre in North Dublin and the Youth Justice Plan as proof the government is taking children’s’ futures seriously. Email “Children First Bill to be published within weeks - Fitzgerald”. Feedback on “Children First Bill to be published within weeks - Fitzgerald”.